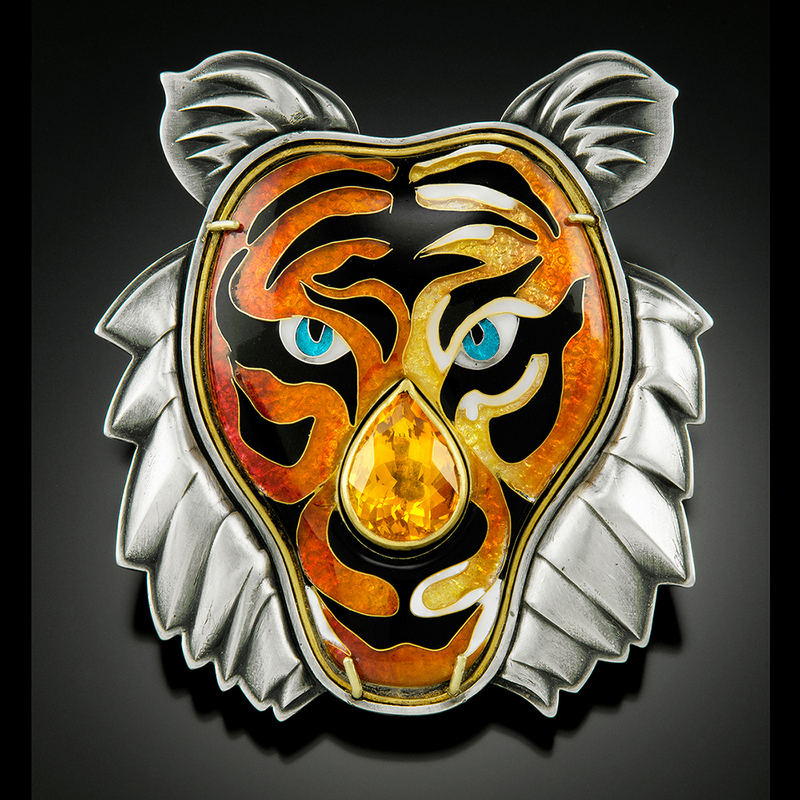 The “Tiger” enamel started with a hydraulic pressed fine silver form using a custom cut die. 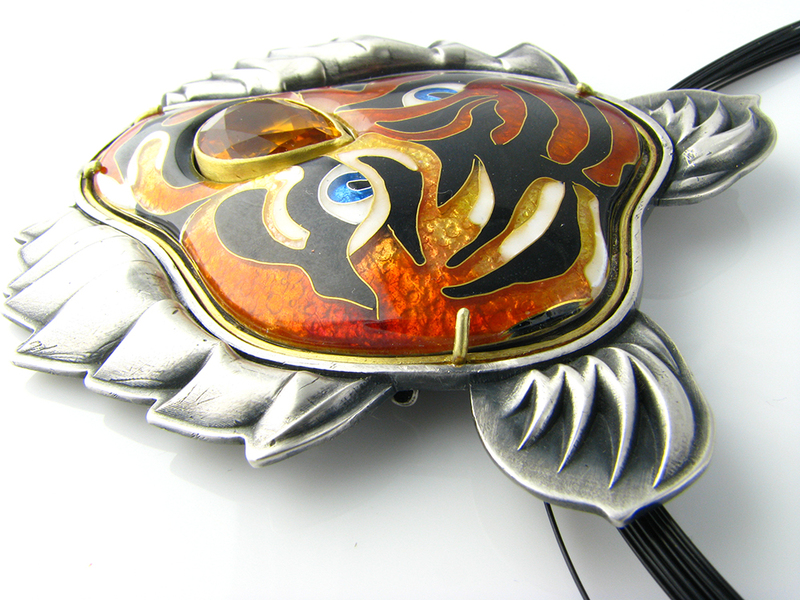 It was enameled using the cloisonné technique. 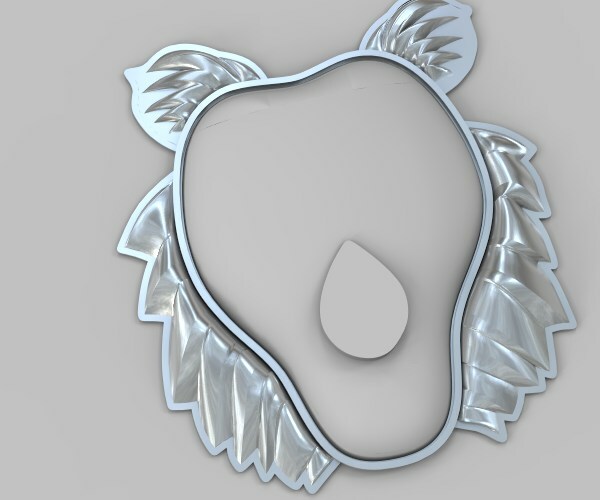 The mane and ears were created in Rhino (3d modeling) and cast in sterling silver. A golden citrine sits in a 22k bezel. 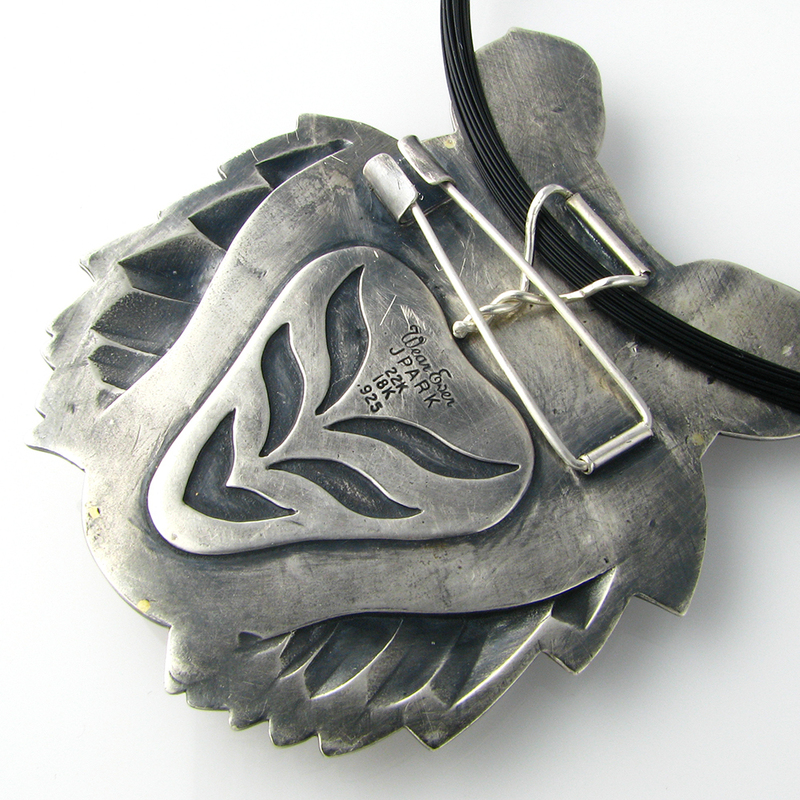 Posted in Metalsmithing and tagged 22k gold, 3d modeling, CAD, cloisonne, enameling, Rhino. Bookmark the permalink.